When companies do well, their CEOs are often heralded as outstanding visionaries and brilliant innovators. In particular, when macroeconomic conditions are favorable, these CEOs are sheltered from scrutiny because the spoils of their success deflect attention from their leadership shortcomings (see my previous article on how success often conceals wickedness.) When the tide turns, however, the leadership deficiencies are exposed for all to see. The CEOs are the first to get the blame, even if they may not merit it. Deborrah Himsel’s Beauty Queen offers an insightful tale of the spectacular rise to the top and the tumultuous fall from grace of Andrea Jung. Beauty Queen divides Jung’s tenure as the CEO of cosmetics company Avon from 1999 to 2012 into two halves: Jung led six consecutive years of double-digit growth initially and then presided over a series of operational missteps that led to her resignation. Alas, Avon has never since recovered—its numerous restructuring efforts have failed, and its strategic and financial performance has severely deteriorated. Promoted at age 41, Andrea Jung brought glamour, charm, and personal style to her CEO’s role. She quickly reshaped Avon’s image and articulated a powerful purpose for the company. She injected energy into a decaying cosmetics brand and pushed Avon into new profitable markets in China, Russia, and other countries. When Jung became CEO, 60% of Avon’s sales were in the United States; by 2011, only 17% of sales were in the United States and 70% were in developing markets. Jung’s revival of Avon’s fortune catapulted her fame; she became one of America’s most recognized chief executives. Fortune magazine named her one of the most powerful women in the world. Jack Welch recruited her to General Electric’s board of directors. Beauty Queen attributes this initial success not only to Jung’s inherent strengths in marketing and branding, but also to her right-hand person Susan Kropf. Kropf was a brilliant operations person, who balanced Jung’s acute lack of skills in running the day-to-day operations of a global company. Avon’s sales started to slow down in 2005. 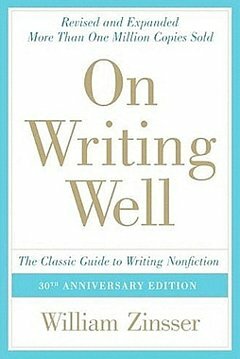 And, Susan Kropf’s exit in 2006 corresponded with the dawn of Avon’s misfortunes. Andrea Jung never replaced Kropf; Avon was left without a chief operating officer. As Avon started to struggle, Jung’s inadequate operations experience became a serious liability. A streak of self-inflicted problems resulted in strategic and operational disasters that took a huge financial toll and resulted in a flight of Avon’s top talent. Jung failed to deal effectively with failures of computer systems in Brazil, inadequate inventory and supply-chain management, poor management of working capital, and a staggering bribery scandal in China. Jung’s lack of expertise to deliver results went up against her bold projections about the business’s future. Straying from Avon’s door-to-door direct selling roots, Jung experimented with a direct-selling channel, but quickly abandoned her strategy of running Avon retail stores. Her attempts to start baby-goods and other new product lines foundered after just two years. Avon’s many acquisitions failed; a silver jewelry company (Silpada) that Jung bought for $650 million had to be sold back to the original owners for $85 million. After Jung’s several turnaround efforts had failed to take hold, she resigned in 2011. Her replacement, former Johnson & Johnson executive Sheri McCoy, has since struggled to turn the company around. The bribery scandal in China impaired Avon. In 2014, Avon settled the case with the Justice Department and the SEC for $135 million. To boot, Avon not only spent $350 million on legal fees, but also lost ground in the burgeoning cosmetics market in China. Avon’s market value fell from $21 billion (1-Mar-2004) at the height of Jung’s success to $1.1 billion (15-Jan-2016). The company’s stock price fell from $44.33 to $2.50. Companies should pair up their leaders with deputies who have complementary skills to offset the Achilles’ heels of the leaders. 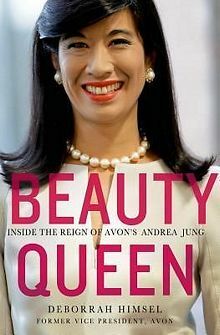 Recommendation: Skim through the first six chapters of Beauty Queen for an informative quick read on Andrea Jung’s rise and fall at Avon. Thumb through the next five chapters for an uninteresting discussion of broad leadership lessons and action lists in dry PowerPoint style.